5% discount on all summer tyres and complete wheels with summer tyres, rims and oil. Discount code: EBRDTUK19 (not combinable with other discount codes). We list all the latest available discount codes, and with the website constantly update the site 24 hours a day, 7 days a week, you will always find the latest working voucher codes. 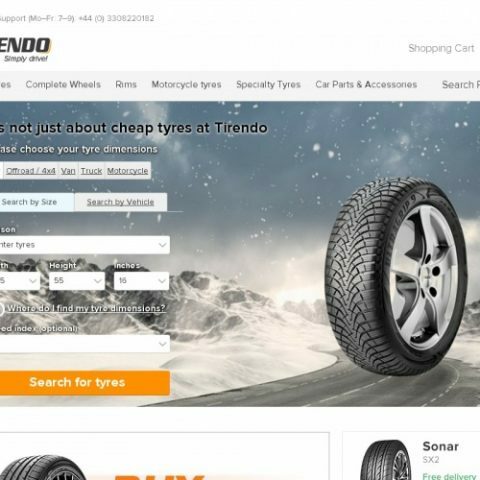 If you are looking for a Tirendo discount code for April 2019, chances are Voucher Ninja have it covered! We also list expired discount codes too which may still work, so make sure to try them before you checkout to get a few extra pounds off your Tirendo order! Don't forget to share Tirendo voucher codes with your friends and family to help them save money too!